The report covers SC fundamentals, regulatory oversight features, SC assessment approaches, data collection and analysis. We'll review the contents, highlighting IAEA's important points, then provide our perspective. The SC characteristics can be described using specific attributes. This covers what the regulator should be trying to achieve. It's the most important part of the report so we excerpt the IAEA's words. 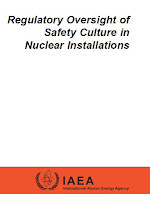 “Common understanding of safety culture. The nature of safety culture is distinct from, and needs to be dealt with in a different manner than a compliance-based control. . . .
“Dialogue. . . . dialogue is necessary to share information, ideas and knowledge that is often qualitative. . . .
“With regards to safety culture, the regulatory body should develop general requirements and enforce them in order to ensure the authorized parties have properly considered these requirements. On the other hand, the regulatory body should avoid prescribing detailed level requirements.” (p. 8) The licensee always has the primary responsibility for safety. Various assessment approaches are currently being used or reviewed by regulatory bodies around the world. These approaches include: self-assessments, independent assessments, interaction with the licensee at a senior level, focused safety culture on-site reviews, oversight of management systems and integration into regulatory activities. Most of these activities are familiar to our readers but a couple merit further definition. The “management system” is the practices, procedures and people. ** “Integration into regulatory activities” means SC-related information is also collected during other regulatory actions, e.g., routine or special inspections. The report includes a table (recreated below) summarizing, for each assessment approach, the accuracy of results and resources required. Accuracy is judged as realistic, medium or limited and resource requirements as high, medium and low. The table thus shows the relative strengths and weaknesses of each approach. The regulator's picture of SC is discussed with the licensee during periodic or ad hoc meetings. The objective is to reach agreement on next steps, including the implementation of possible meeting actions and licensee commitments. The SC content is pretty basic stuff, with zero new insight. From our viewpoint, the far more interesting issue is the extension of regulatory authority into an admittedly soft, qualitative area. This issue highlights the fact that the scope of regulatory authority is established by decisions that have socio-political, as well as technical, components. SC is important, and certainly regulatable. 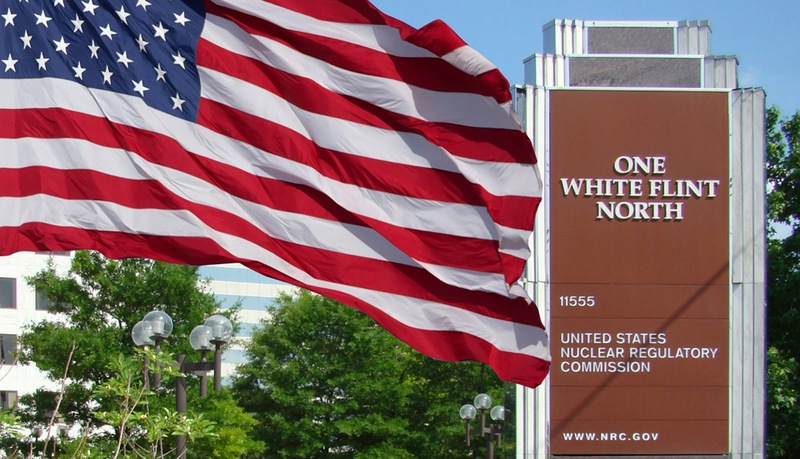 If a country wants to regulate nuclear SC, then have at it, but there is no hard science that says it is a necessary or even desirable thing to do. Our big gripe is with the hypocrisy displayed by the NRC which has a SC policy, not a regulation, but in some cases implements all the steps associated with regulatory oversight discussed in this IAEA report (except evaluation of management personnel). For evidence, look at how they have been pulling Fort Calhoun and Palisades through the wringer. 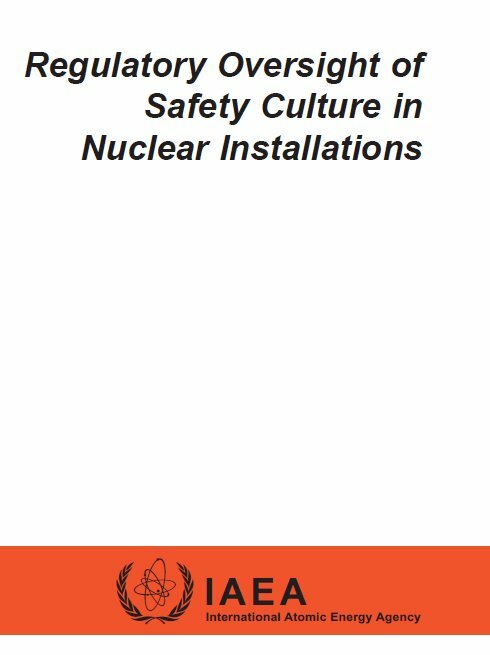 * G. Rolina (IAEA), “Regulatory oversight of safety culture in nuclear installations” IAEA TECDOC 1707 (Vienna: International Atomic Energy Agency, 2013). On February 10th, we posted about a report covering lessons for safety culture (SC) that can be gleaned from the social science literature. The report's authors judged that high reliability organization (HRO) literature provided a solid basis for linking individual and organizational assumptions with traits and practices that can affect safety performance. This post explores HRO characteristics and how they can influence SC. 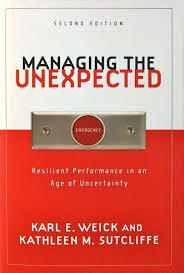 Our source is Managing the Unexpected: Resilient Performance in an Age of Uncertainty* by Karl Weick and Kathleen Sutcliffe. Weick is a leading contemporary HRO scholar. This book is clearly written, with many pithy comments, so lots of quotations are included below to present the authors' views in their own words. What makes an HRO different? HROs follow five principles. The first three cover anticipation of problems and the remaining two cover containment of problems that do arise. The language people use at work can be a catalyst for simplification. A person may initially perceive something different in the environment but using familiar or standard terms to communicate the experience can raise the risk of losing the early warnings the person perceived. In our experience, nuclear plants are generally good in this regard; most include a focus on operations among their critical success factors. “Culture consists of characteristic ways of knowing and sensemaking. . . . Culture is about practices—practices of expecting, managing disconfirmations, sensemaking, learning, and recovering.” (pp. 119-120) A single organization can have different types of culture: an integrative culture that everyone shares, differentiated cultures that are particular to sub-groups and fragmented cultures that describe individuals who don't fit into the first two types. Multiple cultures support the development of more varied responses to nascent problems. A complete culture strives to be mindful, safe and informed with an emphasis on wariness. As HRO principles are ingrained in an organization, they become part of the culture. 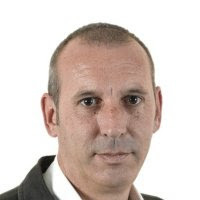 The goal is a strong SC that reinforces concern about the unexpected, is open to questions and reporting of failures, views close calls as a failure, is fearful of complacency, resists simplifications, values diversity of opinions and focuses on imperfections in operations. One chapter contains a series of audits (presented as survey questions) to assess an organization's mindfulness and appreciation of the five principles. The audits can show an organization's attitudes and capabilities relative to HROs and relative to its own self-image and goals. The book's case studies include an aircraft carrier, a nuclear power plant,**** a pediatric surgery center and wildland firefighting. The authors would have us focus on nascent problems in operations, which is obviously necessary. But another important question is what are the faint signals that the SC is developing problems? What are the precursors to the obvious signs, like increasing backlogs of safety-related work? Could that “human error” that recently occurred be a sign of a SC that is more forgiving of growing organizational mindlessness? Bottom line: Safetymatters says check out Managing the Unexpected and consider adding it to your library. * K.E. Weick and K.M. Sutcliffe, Managing the Unexpected: Resilient Performance in an Age of Uncertainty, 2d ed. (San Francisco, CA: Jossey-Bass, 2007). Also, Wikipedia has a very readable summary of HRO history and characteristics. ** More on normalization and rationalization: “On the actual day of battle naked truths may be picked up for the asking. 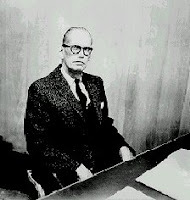 But by the following morning they have already begun to get into their uniforms.” E.A. Cohen and J. Gooch, Military Misfortunes: The Anatomy of Failure in War (New York: Vintage Books, 1990), p. 44, quoted in Managing the Unexpected, p. 31.